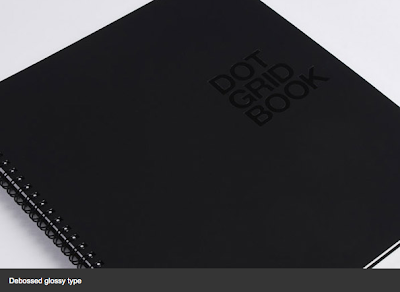 The Dot Grid Book was designed by the Behance team in response to requests from graphic designers.The Dot Grid was developed as an alternative to traditional lines and boxes. 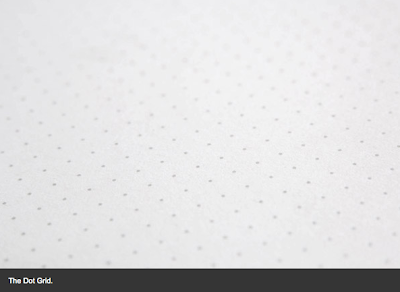 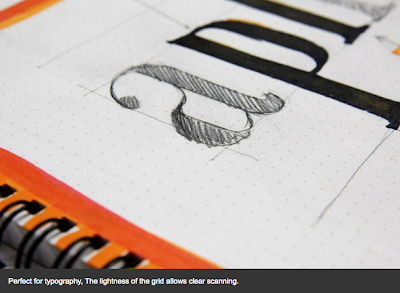 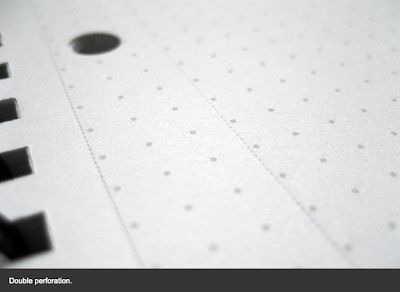 The light geometric dot matrix serves as a subtle guide for your notations and sketches. 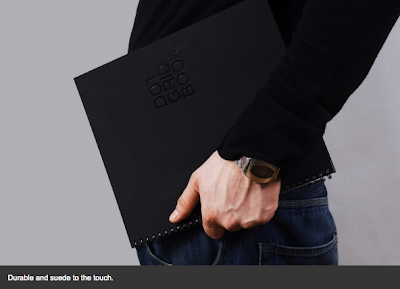 The Dot Grid Book's cover is a unique suede-to-the-touch hard cover. 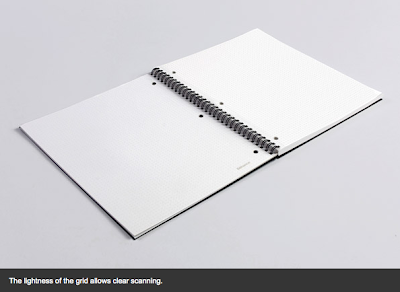 The pages are made of 80lb Premium Blend paper with a subtle texture (30% post-consumer recycled), double perforated, and three-hole punched between both perforations for maximum flexibility.